Welcome to our last Newsletter for 2012! As I write this in the middle of December, it is surprising to look back and see how quickly this year has passed. This has been a busy year with its accomplishments, achievements and challenges. We were honored to meet a number of you and reconnect with others during our travels. Moving into 2013, we see ever more indications that home gardening is relevant and important in today’s world and looks to become even more so going forward. There are many very positive and constructive reasons to start or expand your garden or encourage or help another on theirs. Reasons range from saving some serious grocery money, to making some extra or swapping an abundance with your neighbor to helping the local soup kitchen or food pantry with fresh vegetables. We are tired of the doom and gloom forecasts; let’s look at ways and reasons to build something better together, and gardening is an excellent start! There have been a number of questions as to when orders can be placed for 2013 seed. Order away! We have about 95% of our seed stock in house and are packing seed as fast as we can to meet orders coming in. For the few varieties that haven’t arrived yet, we will ship those back-ordered varieties once they come in. Also, you can place your order now and put a future shipment date on it to hold your order. Your credit card will be authorized, but not charged until the order is shipped. This way you can get the order in and know there won’t be any shortages of seeds you have your heart set on! Thank you for the positive response to our Holiday Gifts for Gardeners message! If you are in need of a unique and wonderful gardening gift, there is still time! Our Planting Seeds gardener referral program is also a great way to introduce a new or returning gardener to what we do. The Membership Program was a huge success this year, with new Members joining and several new organizations that we have been happy to partner in supporting with you. If you know of a great non-profit organization working on education in gardening that we could work together to support, please have them contact us. If you are on Facebook, please join us in our conversations there! We post tidbits, news, stories and thoughts that are timely and just won’t wait or fit into the Newsletter. We are closing in on 1,000 fans, so if you like what we are doing, please share our page with your circle of family and friends! Last but most definitely not least, we offer our heartfelt wishes for a holiday season that leaves you energized, connected and invigorated, whether it be Christmas or Hanukkah or another tradition. We are all a diverse group with diverse customs, languages and cultural ways. This time of year is sacred to many religious traditions, so instead of a generic “Happy Holidays” we offer you the wish that you are able to take some time and ground yourself in your tradition gaining peace, comfort, hope and love to bring into the new year. We thank each and every one of you for a wonderful year and look forward to seeing you in the new one! The 2013 Heirloom Seeds catalog hit the mail Friday, December 14 and should be in your mailbox in the next week. 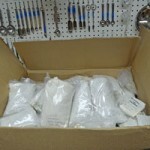 They are shipping by bulk mail, so may take a few days in getting to less populated areas. You can read the electronic catalog version right now by clicking the download link. We’ve added a number of new varieties, along with a brand new “Grains” section of heirloom and historical grains that the home gardener or small scale farmer can grow for an alternative to modern super-hybridized grains that are causing so many digestive problems. More varieties will be added in the near future. This next year is a special milestone for us at Terroir Seeds, as 2013 marks our fifth year in business and the 20th for Underwood Gardens. The founder of Underwood Gardens – Mayo Underwood – wrote a short article in the catalog on the foundation of her company and philosophies that we continue. It is humbling and thrilling to look around and see so many incredibly supportive customers that have become something of an extended family. 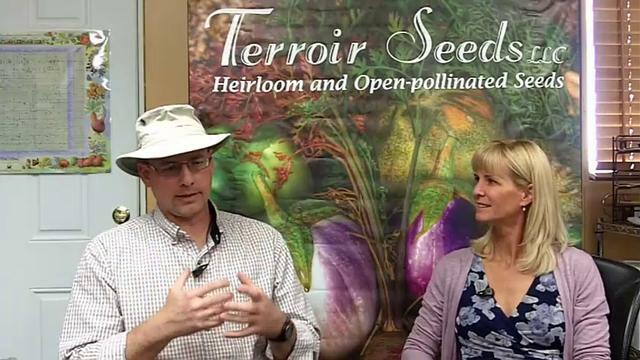 Your suggestions, requests and thoughts have helped us improve and establish our name in the heirloom seed world. Thank you so much! 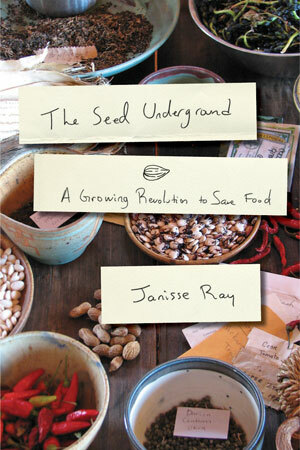 One of the newer books we have read and fallen in love with is “The Seed Underground – A Revolution to Save Food” by Janisse Ray. A long-time writer for Orion magazine, she brings a sense of concern and wonder to the story of seeds in today’s world. Here is a very timely book that addresses many of the issues we are facing with quality vs quantity of food, who owns the seeds and food that we eat and why all of this is important to us as people and eaters. This book is a treasure, very unique and meaningful. Janisse has a way of writing that speaks to our deeper understandings, getting past the noise of everyday distractions and stands in front of our real selves. She addresses the problems in a direct, rational and realistic manner without overwhelming us or oversimplifying them. The solutions are presented in a similar manner, straightforward and gently. 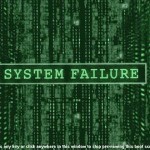 You understand that the simple solutions do not equal easy, that there is work to do but it can be done. There is much hope and love shown in the stories of what is being done right now to make things better, not just blind optimism. The importance of heirloom seeds and seed saving is a large and sprawling subject. Janisse wraps stories around it, making sense of it while educating and entertaining all the while. The book speaks from her own sense of curiosity, wonder and outrage, inviting a deeper reading and understanding of the importance of seed and the food that nourishes us. We are pleased to announce we will be giving a keynote address for the Missouri Organic Association Annual Conference on Friday, February 8, 2013 at the University Plaza Hotel in Springfield, MO. The conference is February 7 – 9 and includes extensive presentations and workshops from national and internationally known experts in the Organic and Sustainable Agriculture and Green Energy industries. Some of the speakers include Jeff Moyer – Rodale Institute farm manager and director for more than 28 years and Greg Judy – successful grass-fed rancher that uses the herd to restore grassland health. Others are acknowledged experts in their respective fields of beneficial insects and pollination, cover crops, composting, high tunnel food production, healthy soils, permaculture and many more. We are honored to be among such a wealth of knowledge and able to share what we have learned with others. Our presentation is “The Cycle of Terroir – From the Soil to the Seed to the Food You Eat” that ties together the holistic concepts of healthy, vital soil combined with heirloom seeds to produce the most nutritious, flavorful and local food possible. We look at how to build healthy, fertile soil with an increasing spiral of production, nutrition and pest, weed and disease resistance each year. This starts the cycle of improved plant health, leading to better food that ultimately results in greater health for us. You can watch The Cycle of Terroir presentation as a slide show on our blog if you can’t attend the conference. We are in high gear and buzzing as new shipments of heirloom seeds arrive and we work on getting them packed and ready for the rush of seed season which starts, oh about… now! As many of you know, we pack everything by hand, so we wanted to give you a look into what it is like when a shipment of seed arrives for a small, family owned seed company. What does a pound of Katanya watermelon seed look and feel like? How about 2 pounds of Papalo? We wrote a short article with lots of photos to give you a feel of our excitement of seeing so many varieties of heirloom seed show up, all with wonderful stories and histories. 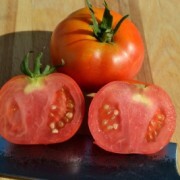 There are four varieties that we highlight in this shipment, so please read New Heirloom Seed Arriving! for the full story. We want to ask a favor of you. As you are looking through our new 2013 Heirloom Seed catalog and planning next years garden or reviewing this years plantings, please take a moment to review how our seeds did. Your honest evaluation will help other gardeners in your area, or similar areas to make better choices on which heirlooms to plant for their gardens next year. Of course we love it when a variety does well and is loved by the whole family. The other side of that coin is folks need to know if a variety doesn’t do as well in a particular area. 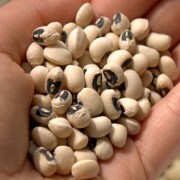 We offer a wide selection of seeds for our home gardeners across North America. There are widely diverse growing environments that we are working with and a friendly, honest review can help someone make a more informed choice on what to try. 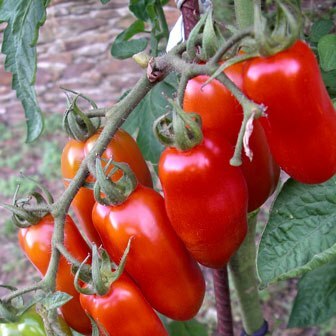 Do you have a list of tried and true heirlooms that are central to your garden and get planted every year? 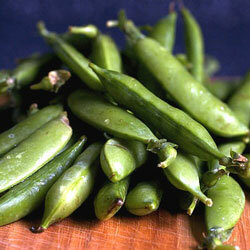 Were you pleased with a new variety you tried this year, or did something not quite work as well as you had hoped? Please let us, and everyone else know. Doing a review is easy! Just go to that variety in our store and into the detailed description by clicking on the name, item number or photo. You will see a box with the item number and pricing in it. Then click on the review link and give us your thoughts. If you are the first reviewer, the link will say “Be the first to review this item”, otherwise it will say “Review this item.” Thanks for your help! Thanks for your time this edition, we hope you have enjoyed it. Please let us know your thoughts and suggestions, as we are always working to improve. New Heirloom Seed Arriving! Can the FDA be Trusted with Our Food Safety?